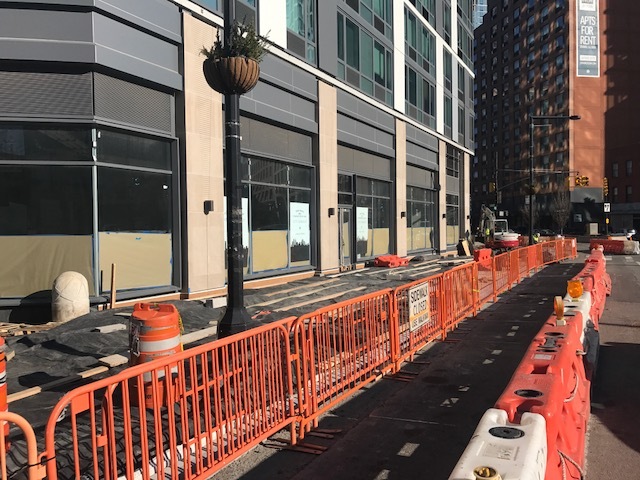 When we last checked in on the retail space at Hayden at 43-25 Hunter Street in December, construction crews had installed signage announcing the imminent arrival of City Chemist.1 When we stopped by last week, we saw that construction is under way, as seen in the photo below. The retail space is a 5,200-square-foot lot, and delivery is expected in early 2018. 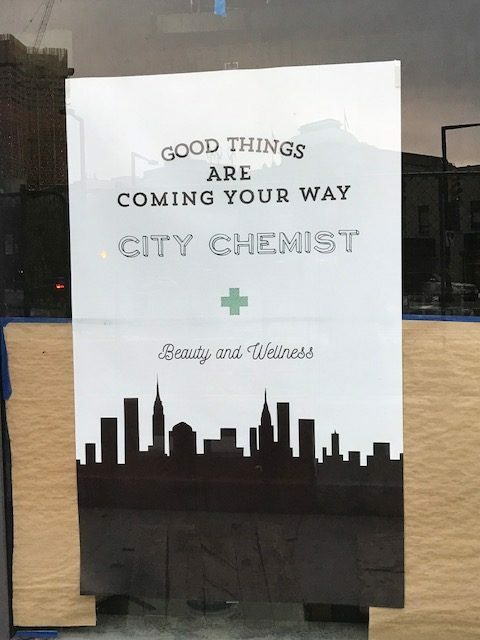 When will City Chemist in LIC open? Neighbors are waiting and anticipating!